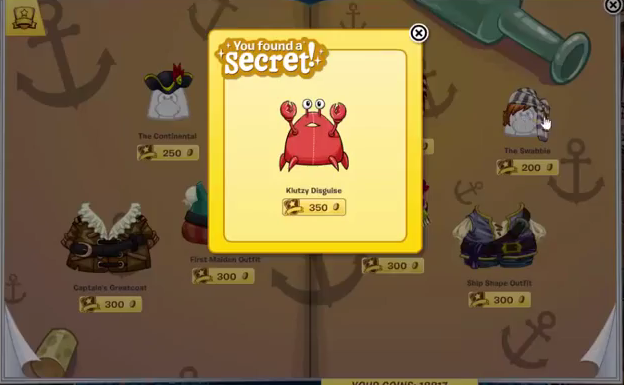 There's a new catalog for November on Club Penguin! 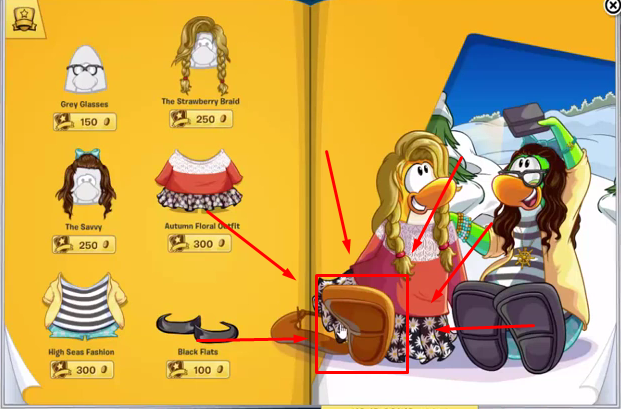 There's a lot of pirate themed clothes as well as normal everyday clothes for your penguin. 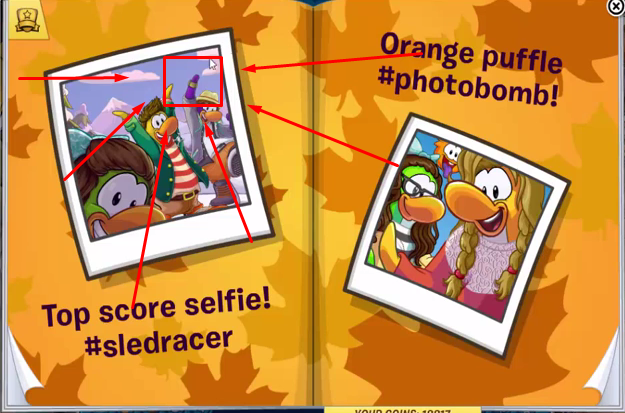 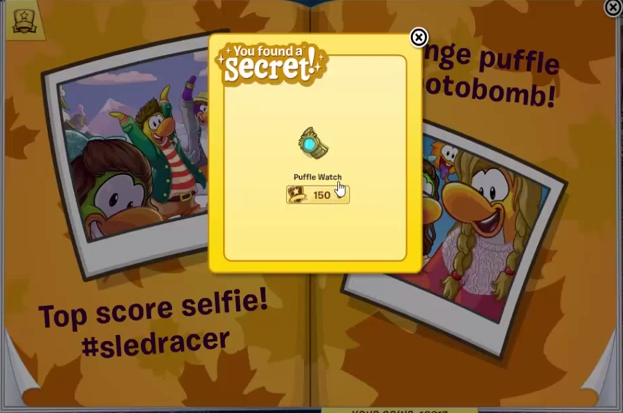 Go to page 9 to find the Puffle Watch by clicking the purple penguin's flipper. 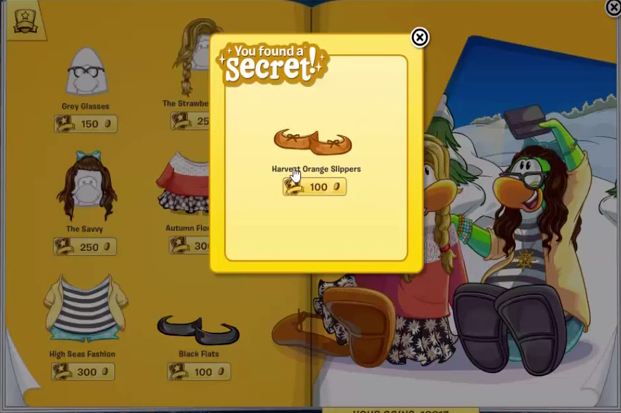 Go to page 12 and click on the left penguin's foot to find the Harvest Orange Slippers. 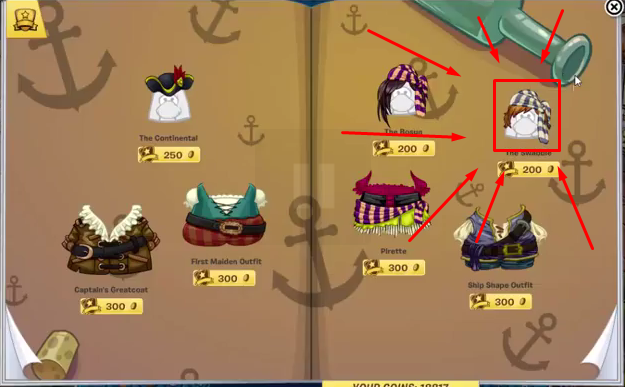 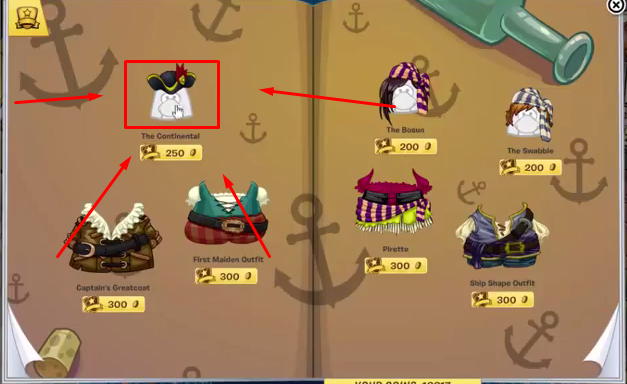 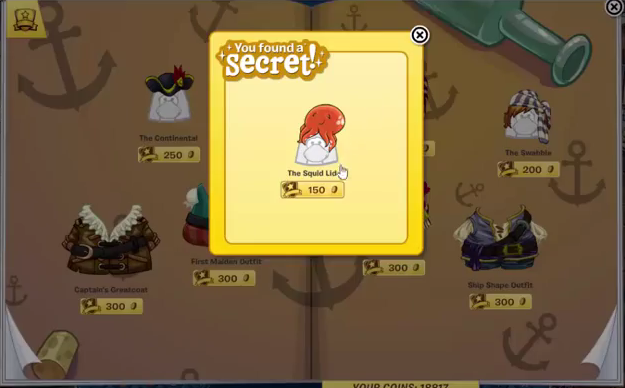 Go to page 17 and click on the The Continental pirate hat to find The Squid Lid.